Our product range includes a wide range of panel mount oxygen pressure gauge and nitrous oxide gauge. 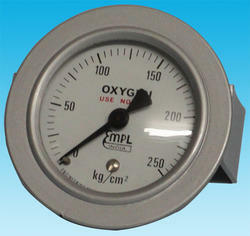 We are a recognized manufacturer and exporter of Panel Mount Oxygen Pressure Gauge. This product is widely appreciated by our clients due to its durable finish standards, perfect finish and longer service life. We use supreme quality raw material to fabricate this gauge. 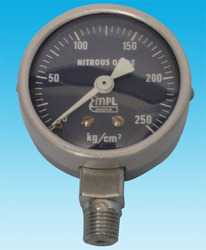 We are the leading manufacturer and exporter of a quality tested assortment of Nitrous Oxide Gauges. These gauges are highly efficient, reliable, compact and durable. Our offered products are used for medical purpose. Looking for Medical Gauges ?